Presented here, a lovely Yellow Ware Covered Sugar Bowl, 4" high to the top of the finial. 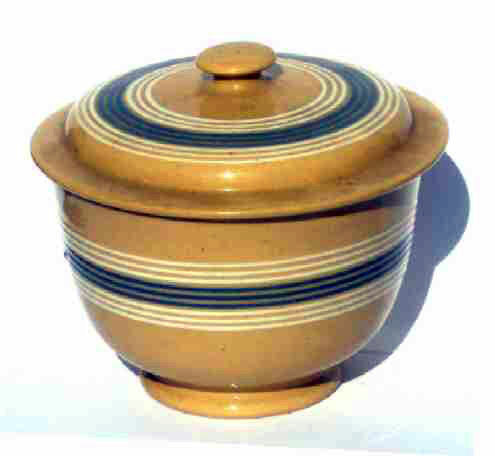 Blue and white bands decorate the yellow ware body that is that lovely Dijon color that we love so well. The overall impression is one of softness. Covered Sugar Bowls are relatively hard to find and a fine addition to any Yellow Ware collection.